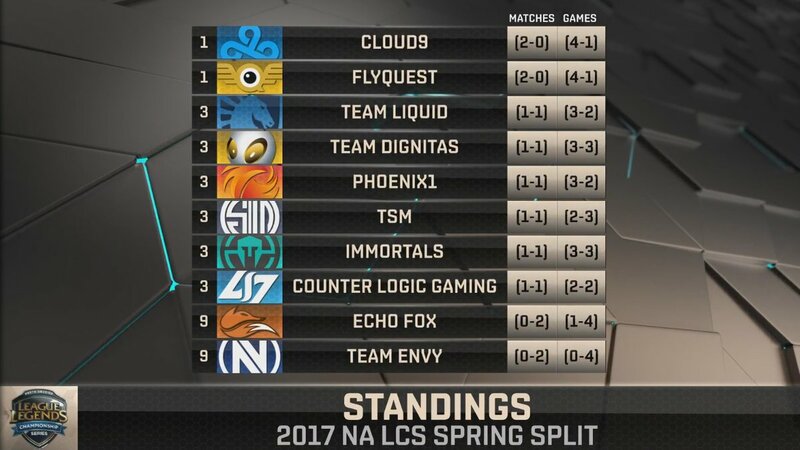 The NA LCS returns with the second week of the 2017 Spring Split! Catch up on the full NA LCS rules here or browse the 2017 season changes article here. 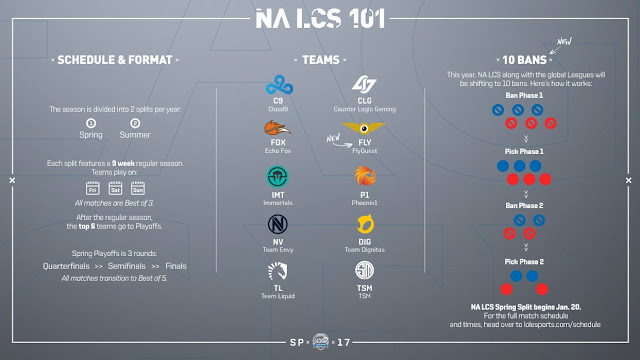 As previously announced for all Riot run leagues, NA LCS is moving up to a 10 ban system. Team info.